SEAN HANNITY, HOST: All right, we've certainly learned about the ugly side of Chicago politics in the past year. The Rod Blagojevich and Roland Burris pay-to-play scandal seemed to represent the worst of the Chicago political machine. But now it seems another questionable character is running for the Senate seat that President Obama once held. Our special investigation examines Obama's newest protege. Let's take a look. What was shown was a Chicago Sun Times reporter saying the two “got to be friends playing on the basketball court” at the University of Chicago. 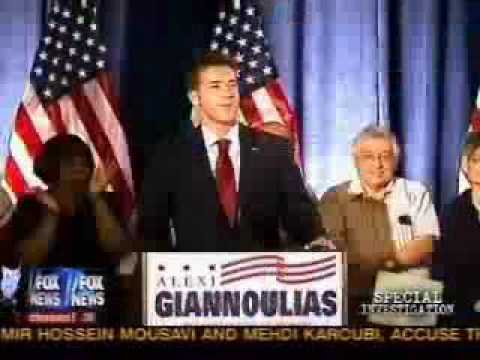 According to the report (and I take nothing Hannity, the Misinformer of 2008, ever reports without a grain of salt), Giannoulias gave Obama “seed money” for his 2004 Senate campaign and provided entry into the Chicago Greek community. Obama, now referred to by Hannity as Giannoulias’ “good friend,” also endorsed Giannoulias’ candidacy for State Treasurer. So they knew each other and had been friendly. That's hardly cause to call someone a protege. By those standards, one could easily call white supremacist Hal Turner Sean Hannity's protege. Last week, I officially announced my campaign for the US Senate seat once held by my friend and mentor President Barack Obama. As the campaign begins, enemies of progressive policies and the President’s agenda are engaging in the predictable smears and lies that are the fuel of the right wing noise machine. The latest installment comes from FOX News, courtesy of Sean Hannity. Last night, he televised a "Special Investigation" of my candidacy. In typical Fox News style, the "report" was long on falsehoods, misinformation and guilt by association and short on facts. And of course, they are not doing "Special Investigations" on the problems facing everyday Illinoisans.